I am super happy to welcome Jeroen Stemerdink, Valtech Netherlands as well as Igor Djerman, Leversys, to the sixth meetup of EpiDev Serbia! Jeroen is an Episerver MVP and one of the most active members of the Commerce community. He will speak about "Challenges of building a product model" and share with us his experiences and thougths on good and bad practices. Do prep your questions! Igor is a very active member of Serbian .NET community, with lots of lecturing experience. His interests are in software architecture, PowerShell, scrum and functional programming. He will connect React and Office 365, which is not entirely connected to Episerver, but is interesting for any who consider themselves frontend and .NET devs. 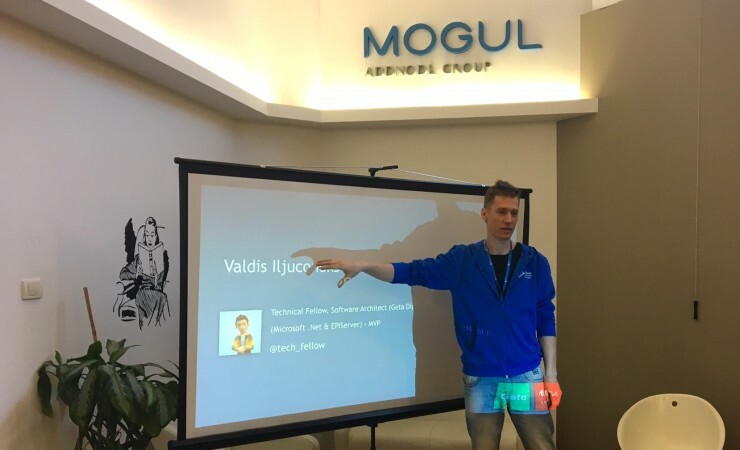 Last time, we had Valdis showing his powerful Localization, pictures can be found here (thx Simona and Uros). Do apply for the meetup here! Big thx to Mogul for support in realization of this meetup!